MetroElectrician is your trusted electrician in Denton, TX providing electrical repair for residents and business owners in Denton. We service the entire Dallas / Fort Worth Metroplex too. Our goal is to be the next electrical service company you use, and the only electrician you will contact in the future. We always deliver the very best quality repairs and installations and have the best customer service you’ve ever experienced. Whenever you contact us, we will schedule an appointment at a time which is convenient for you. Our properly trained and highly experienced electricians will arrive promptly and in a truck which is completely stocked, ready to get the job finished without numerous trips to the supply house. We guarantee our work 100%! We guarantee your satisfaction 100%! We'd love to assist you with all of your electrical needs. ​Electrical services we offer include but are not limited to repairs, installations, and upgrades for both commercial and residential customers. No matter the type of electrical service your project requires, we can help. No job is too big or too small for our expert electricians. From new light fixture wiring and ceiling fan installation to washer and dryer wiring and outdoor landscape wiring installation, we can do it all. Our residential services include spa and pool wiring as well as new room wiring and whole home surge protection. For our commercial customers, we can put in heavy duty circuit breakers, commercial fuse panels, and even full building Cat 5 wiring. Property managers responsible for managing apartment or MDU’s can confidently contact us knowing that we have the depth and breadth of experience to care for any business as usual or emergency service. Moreover, our capabilities extend beyond the simple, day to day issues into multi-million dollar commercial data center projects, spanning multiple months of planning and implementation. ​Everyone in Denton depends on functioning electricity on an everyday basis. Whenever the power goes out, do you suddenly find yourself flipping switches which don't work and attempting to use several devices only to find that they have no source of electrical power? Even though it might be tempting to try some simple home electrical jobs by yourself, most electrical issues are not DIY type projects. It will pay off to employ a licensed electrician. Even little mistakes may result in very dangerous accidents with regards to electricity. Speaking of power outages, have you considered investing in a whole home backup generator or a whole home surge suppression system in your newly constructed or existing home? Need An Electrical Contractor In Denton? ​Your personal safety is the reason why you should always hire an electrical contractor rather than trying to work on electrical problems yourself. Not having all the required tools or know-how to safely perform a job may put you and others in your home or office at risk. Improperly completed electrical work can result in fire, broken appliances, and even electric shock. There isn't any real need or reason to cut corners with regards to this working on electricity. It's just not worth risking both you and your family's lives. Have you tried installing a two way or three-way switch only to throw your hands up and take the part back to Home Depot? This type of work is table steaks to our installers. Give us a call and let us know a little about your project and we’ll give you a reasonable estimate to get the job done. Becoming a certified electrician takes many years of training and a license from the state. Obtaining proper knowledge and practical experience is all part of becoming a career electrician. Our electricians have the proper training, knowledge, certification, licenses, and tools to get your electrical job finished safely, properly and in accordance with all local building and electric codes. To become a certified electrician, an individual must go through many years of training to be able to gain the knowledge and experience needed to be a career electrician. Because of this, electricians not only have all the equipment and tools that they need to finish your electrical job, but the knowledge and resources needed to get it done safely per national and local electric codes. This means that your electrical services will be finished in a safe and complete manner that will adhere to any safety ordinances that your locale might have. This is particularly beneficial when it comes to selling your house. 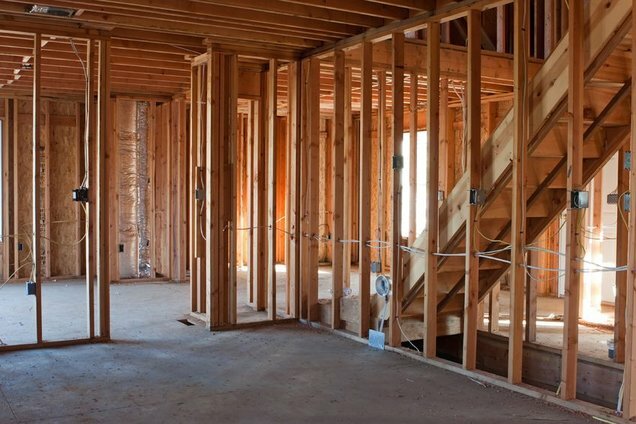 Improperly finished electrical work can make it difficult or even out of the question to sell a structure. The bottom line is, you should always employ a professional electrician which is properly licensed and bonded. It may seem like there isn't much to some of the jobs that you have in your home, but be assured that there isn't any small task whenever you are dealing with electrical current. Remember, your electrician should be pulling a permit from the city before performing any substantial electrical work. We offer many ways to upgrade and improve your electrical safety. 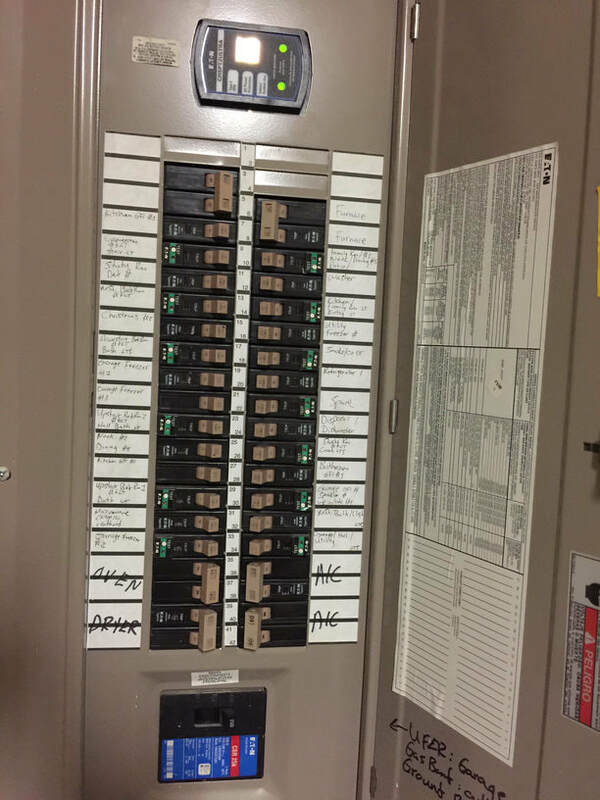 Our electricians are trained in breaker replacement, panel replacements, upgrades, and grounding and bonding. ​​​Breaker Replacement - Your circuit breaker does not block electrical surges from overwhelming your home energy grid. It is possible for your circuit breaker malfunction and you will need a trained technician to replace your breakers safely. This is one area that may seem like a simple DIY project; however, your safest course of action is to call and trained repairman. By removing the main breaker panel, you are exposing yourself to the main bus bar without the benefit of projection. There is little forgiveness when a mistake is made inside the panel. You risk electrical shock, burn, and possibly death. Panel Replacement and Upgrades – The electrical panel in your home is typically found at the side or back of your house. The panel includes circuit breakers and a master switch to turn off all electricity in your home. Turning off the switch allows you to work safely on electrical components without the fear of electrocution. As always if you are ever unsure it is best to let one of our electricians handle all your electrical component issues. If your electrical panel is old or if it malfunctions it could put you, your family, and your home’s electrical grid in danger. Our electricians can perform maintenance on your panel to bring it up to modern standards. Is your panel hot, humming, or smoking? You may need to call 911. We recommend you get a panel inspection today to make sure your household is protected. Grounding – If your home is not properly grounded, you can easily wreck your home’s power grid and put your entire family at risk of electrocution. Our professional electricians are experts when it comes to inspecting and fixing your grounding system. Many people do not fully understand how electricity works, and they think that once you turn on your light that the electricity stops once it light bulb or appliance, but that is simply not true. Electricity continues to flow after performing its functions, and it returns to the electrical panel and goes to a neutral place called the bus bar. From the bus bar, the electricity still needs to go somewhere, and that is where the ground comes in. The electricity is directed toward the ground which absorbs the extra power in a flash. Beyond grounding is the bonding of electrical device to device to eliminate the possibility of you or another becoming the most direct path to ground. Entire Service Inspection and Rebuild - Do yourself a favor and have our team perform an entire service inspection. You may not realize but your outdated electrical wiring may be filled with hazards and outdated lines costing you money every single day. Our electricians can inspect, upgrade or replace your outdated systems to keep your home safe and help you to save money on your electrical consumption. Depending on when your home was built, you may need a whole home rewired. Updating the lighting systems in your home not only updates your home to a new look but will greatly improve the quality of light, as well as lower your energy costs with LED Lighting. 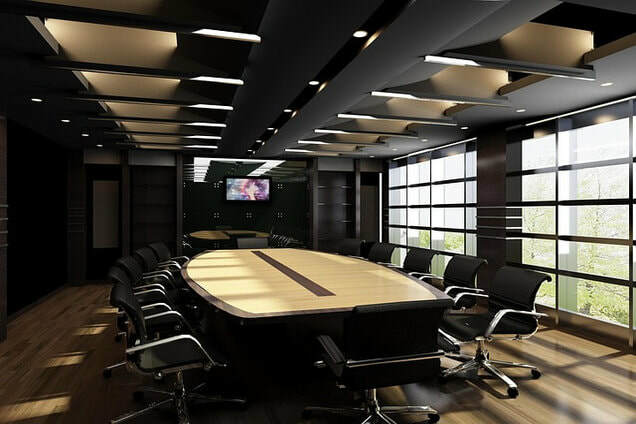 A lighting system renovation has many benefits. Not only are you able to update the aesthetics of your home or business, but installing energy efficient lights helps you save money in energy costs and will pay for itself in savings. Our electricians have the proper skills to completely upgrade your current lighting system from start to finish. A power surge is a random spike in electrical energy and it can literally destroy appliances and any other electrical system connected to your power network. There is a great variety of reasons electrical supply in your home or business can vary from lower than expecting too much higher voltages than you can imagine. These types of voltage transients or surges can greatly reduce the life of all electronic devices and appliances or damage them beyond repair. ​As crazy as it may sound you are more likely to blow your entire power grid by turning on your hair dryer than by a lightning strike outside. Approximately 80% of all electrical surges are caused by household appliances. Sometimes large appliances such as air conditioners can cause a surge of inconsistent voltages as they are switched on at intermittent intervals. Shop tools and other nearby construction projects can cause surges that will significantly degrade the quality of other electrical connections in your home or business. Although some electrical devices and appliances contain built-in surge control systems they are not always robust enough to protect from severe transient events. Many of these built-in surge protectors also have a limited life and may not be able to withstand multiple surge events. Whole house surge protectors will protect the electronic devices and appliances within your home by allowing “good” electricity to come in from your provider. This regulation of good electricity offers outstanding surge protection for your home. If you have not yet purchased a whole home surge system, please contact us for a recommendation. You may need a package solution that not only protects your electrical but also protects your data line service. These are available in two pairs, data line circuit protector with a separate ground. They help prevent surge damage to audio pairs, data lines, modems, local area networks, computers, fax machines, alarm systems, and telephones. Do you need help identifying whether you need a single phase, three phase, and voltage levels up to 600 volts? Check out the packages of lightning arrestors and surge capacitors available from our friends at Delta. They are considered the best on the market, providing near 95% effective protection. These products are made in the USA and are guaranteed for life. So you're not looking for the typical services like installing ceiling fans, replacing electrical panel boxes, or a new doorbell install - You have an emergency and you need a ​24 Hour Electrician near by. Well, great news! We can help as we're emergency electrician as well. Give us a call and let us know what's got you all torn up. Looking for a cheap electrician near by? We're close by in Denton but we wouldn't consider our services cheap. We do a great job at the big and small. We do residential electrician services safely and with the right tools. We'll take great care of you at a competitive price. If you need to find electrician near by then you've found us. Reach out and let us know how we can help. We look forward to earning your business, and becoming the electrician you call for all jobs large and small.